Dr. Richard Gartner is a psychologist and psychoanalyst in New York City. A Training and Supervising Analyst and Faculty of the William Alanson White Psychoanalytic Institute, he is the Founding Director of the White Institute’s Sexual Abuse Service and for six years he was Director of its Center for the Study of Psychological Trauma. The White Institute honored Dr. Gartner with its 2004 Director’s Award for his contributions to the psychoanalytic understanding of trauma. He treats adults with various problems, including the areas of anxiety, depression, masculinity, trauma, and sexual identity. But he specializes in treating men with histories of sexual abuse, including individual therapy, group therapy and couple therapy. Dr. Gartner was a co-founder in 1994 of MaleSurvivor: the National Organization against Male Sexual Victimization. He is a past President of MaleSurvivor and served on its Board of Directors for seven years. He also has been a Program Chair of MaleSurvivor’s bi-annual conference; served on the Program Committee for other MaleSurvivor conferences; and served as MaleSurvivor’s media spokesperson. Currently, Dr. Gartner chairs MaleSurvivor’s Advisory Board. In 2018, Dr. Gartner was honored as the recipient of two separate national awards. The Award for Outstanding Contributions to Practice in Trauma Psychology was given to him by the Division of Trauma Psychology (Division 51) of the American Psychological Association. He was then honored with the William Friedrich Memorial Child Sexual Abuse Research, Assessment and/or Treatment Award “given to an individual who has encouraged the ending of child sexual abuse through research, assessment, and clinical treatment by recognizing either new or established researchers or practitioners who have made substantial contributions to the field of child sexual abuse.” This award was presented by the Institute on Violence, Abuse, and Trauma (IVAT). His most recent books are the edited Understanding the Sexual Betrayal of Boys and Men: The Trauma of Sexual Abuse (2018) and Healing Sexually Betrayed Men and Boys: Treatment for Sexual Abuse, Assault, and Trauma (2018), which together include up-to-date information about a wide range of topics related to male sexual victimization. He also edited Trauma and Countertrauma, Resilience and Counterresilience: Insights from Psychoanalysts and Trauma Experts (2017), about the influence of working with trauma on therapists’ own lives. This book was a runner up for the Gradiva Award for Best Edited Book, given by the National Association for the Advancement of Psychoanalysis (NAAP). 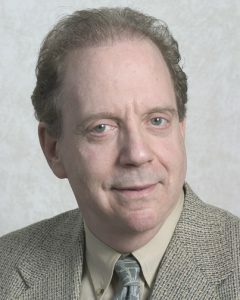 Dr. Gartner is the author of Betrayed as Boys: Psychodynamic Treatment of Sexually Abused Men (1999, 2001), written for professionals but accessible to most lay people. It describes in detail male sexual abuse and psychotherapy with sexually abused men. Betrayed as Boys was runner-up for the Gradiva Award for best book on a clinical subject, given by the National Association for the Advancement of Psychoanalysis (NAAP). He also wrote Beyond Betrayal: Taking Charge of Your Life after Boyhood Sexual Abuse (2005), written specifically for survivors of male sexual abuse as well as their spouses, partners, and loved ones. He has additionally published numerous articles in juried professional journals and edited Memories of Sexual Betrayal: Truth, Fantasy, Repression, and Dissociation (1997). (See more about Dr. Gartner’s books). Dr. Gartner has been elected Fellow of the American Psychological Association and is a Fellow of three APA Divisions: the Society for Psychoanalysis and Psychoanalytic Psychology (Div. 39), the Society for the Study of Men and Masculinities (Div. 51), and Trauma Psychology (Div. 56). He is a member the William Alanson White Psychoanalytic Society; the American Psychoanalytic Association; the International Psychoanalytic Association; the New York State Psychological Association (Division of Psychoanalysis); PEN American Center; and MaleSurvivor: the National Organization against Male Sexual Victimization. He serves on the editorial boards of Contemporary Psychoanalysis, the Journal of Trauma and Dissociation, and the Journal of Family Violence. He is frequently interviewed in the media, was the subject of a full length interview in the Science Times section of the New York Times; has written op-ed opinion columns for the New York Times, the New York Daily News, and New York Newsday; and appeared in the Emmy-nominated documentary “Protect Our Children: Teenage Boys and the Wall of Silence” on WABC-TV, New York. A consultant and supervisor at the Trauma Treatment Center of the Manhattan Institute for Psychoanalysis, Dr. Gartner also taught and supervised in the clinical psychology program at Columbia University for twenty years. He received a B.A. in psychology from Haverford and a doctorate in clinical psychology from Columbia. He is licensed as a psychologist in New York State. Find out more information about his books here or read some of his articles here.